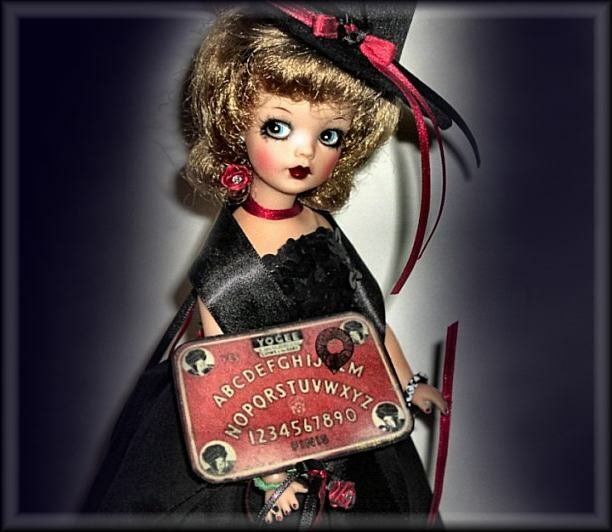 It's All About the Dolls . . . . Honesty is my best policy: Of all the dolls in the world, the Ideal Tammy is one of my favorites. 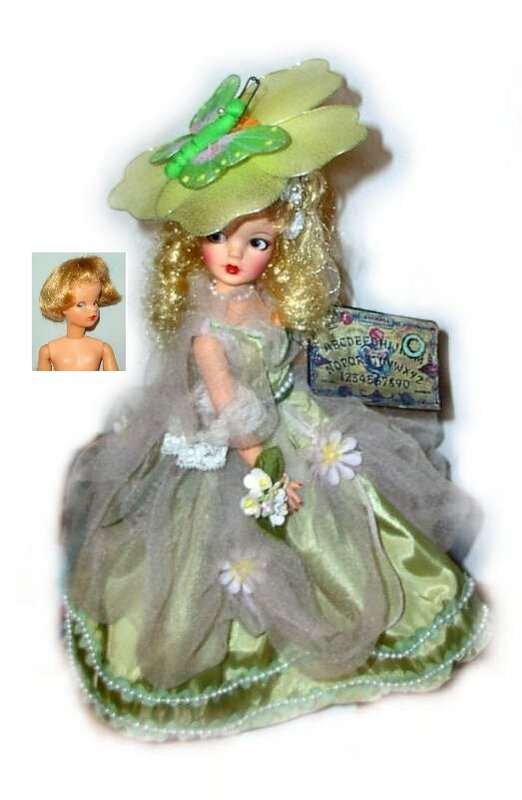 The Ideal Tammy is the only type doll I choose to rescue and restore. Below is a little bit of what I do. Most of the dolls I've ran across have had head issues. While I will do my best to repair or find a good head for a headless body, it is not my habit to swap doll limbs or swap heads. 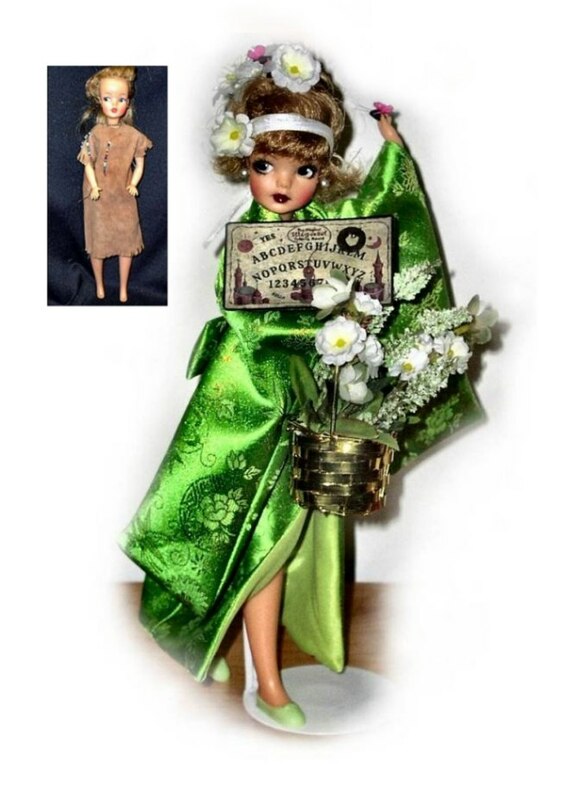 It is my foremost desire to try to keep everything about the dolls as close to original as possible. It is not my preference do OOAK (one of a kind) Tammy makeovers that include permanently changing the face paint or hair of perfectly good Tammy dolls. 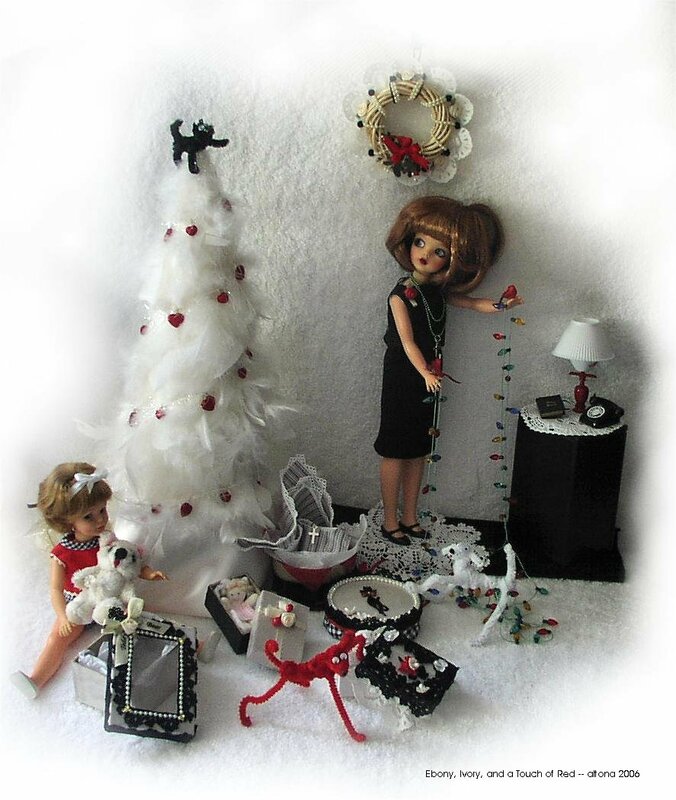 If a Tammy needs touch up, touch up is done in the most minimal way possible so as to restore original beauty and maintain the integrity of the doll. 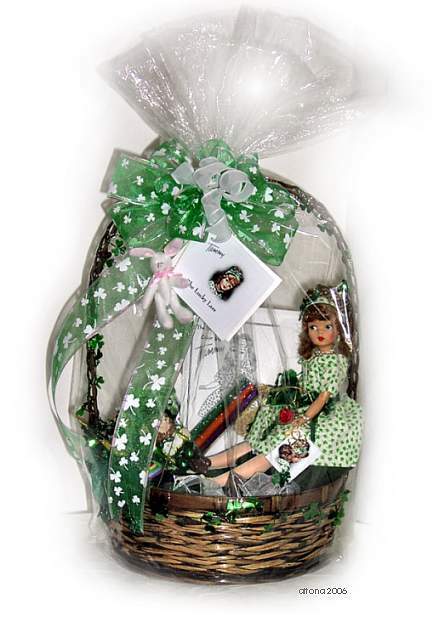 No one makes an Ideal Tammy anymore, and good dolls are not that easy to find. 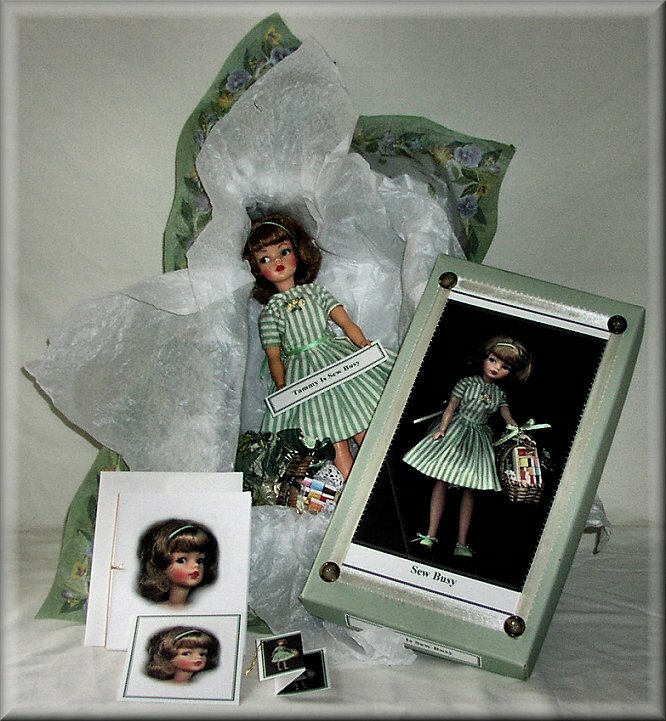 HOWEVER, in cases where the doll's face or hair is altered to the extent that its original look cannot be restored, the doll will become a OOAK (one of a kind) custom Tammy to save the doll from attic prison or trash bin destruction. Tammy dolls are timeless in design. Whenever I restore a Tammy, it is always my goal to make sure each doll is worthy of a second chance at being a toy for a small child's play or a work of art for a collector's display. Regardless of what the "before" condition is, it is important to me that all my dolls are significantly improved long before the "after" pictures are taken. 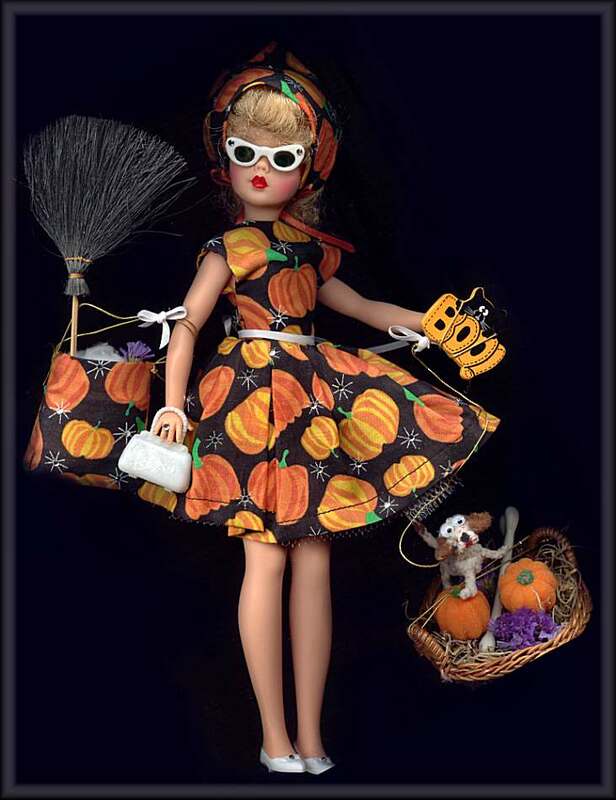 Whether the Tammy's new theme outfit contains vintage or custom made clothes and/or accessories, all items are hand picked and coordinated to ensure the doll is properly attired for play or display. 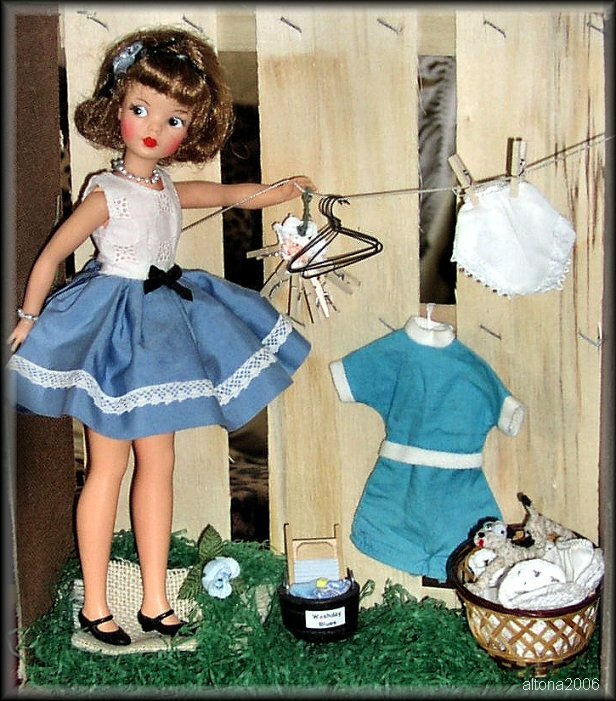 Doll House Fashion, Elizabeth's Sewing Basket, and Ruth Schaefer Designs are some of Tammy's best friends. 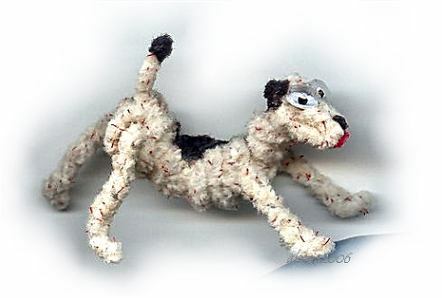 Pet Pals - All my pet pals are posable one of a kinds, made by hand without a pattern. Mrs. Turner examines her latest work of art. An oil abstract from the 1970s on water color paper adorns Mrs. Turner's wall. 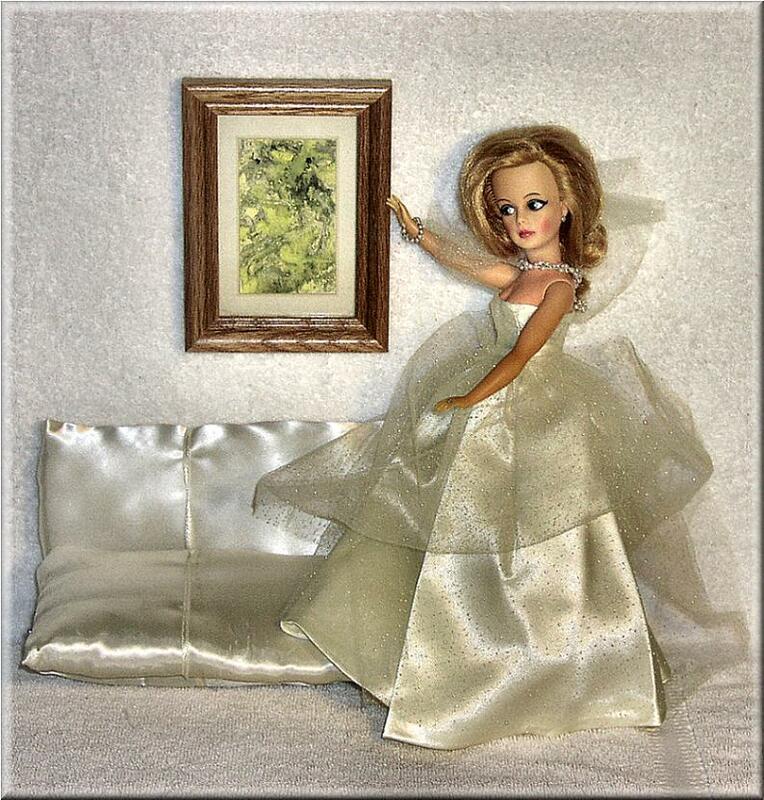 This is one of my miniature paintings custom scaled for Tammy and fashion doll size dioramas, and I have many to share. 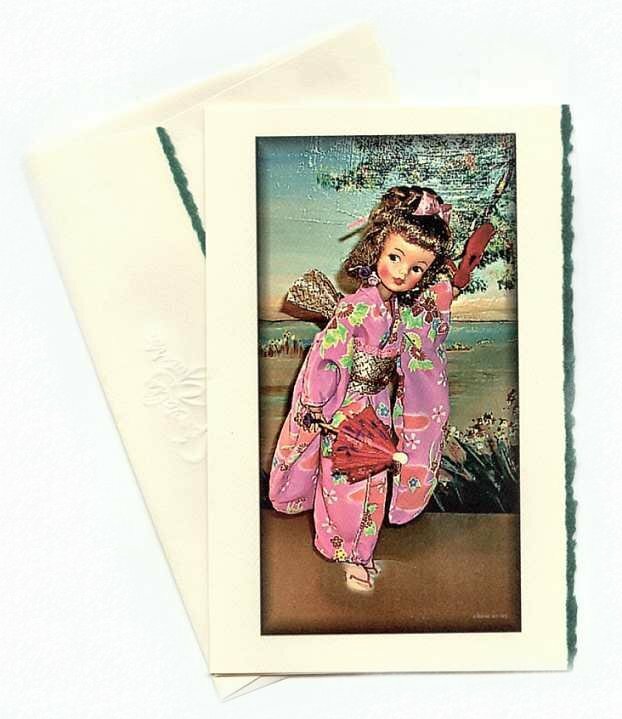 (ACEO (Art Cards, Editions, and Originals) size 2.5" x 3.5", one of a kind (OOAK) works of art.). Inquiries welcome. Custom Tammy travel and storage. New! My Tammy Finds - New! -- New! Ideal Tammy - Korean Valentine Be Mine- New! Guest Book! 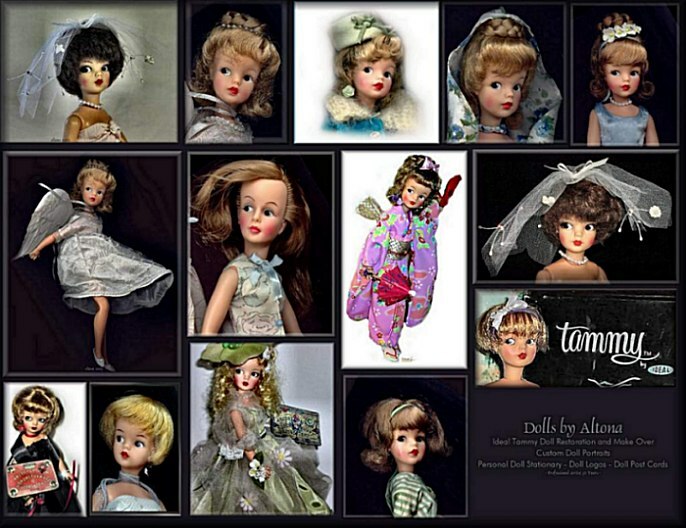 Dolls by Altona on Squidoo - New! 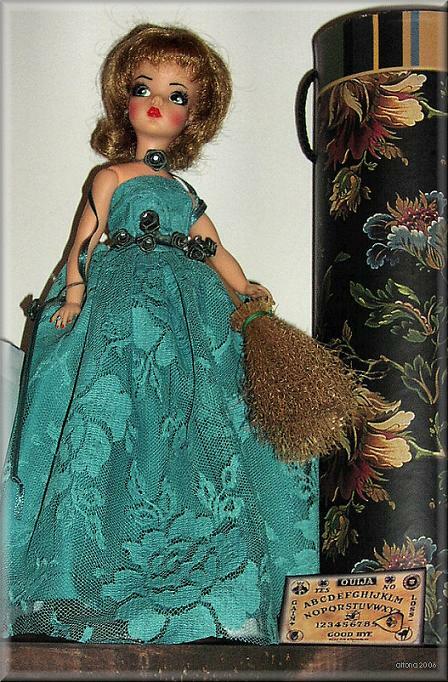 ©2006 Dolls by Altona -- All Rights Reserved.